If you follow me on Instagram, you’ll see a lot of photos of chai because I LOVE chai. So when I was thinking about a new flavour for lip balm, I thought – yum – chai! I realized I had all the essential oils I needed so I played around with them a bit to get the right ratio. 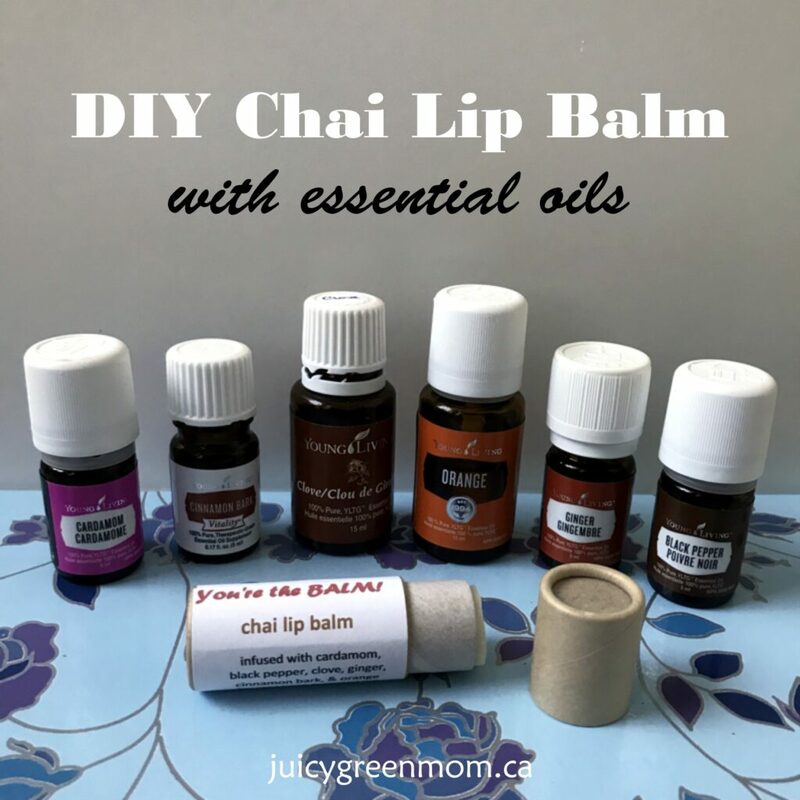 Here’s my recipe for DIY chai lip balm with essential oils – enjoy! This is a luxuriously moisturizing lip balm with a delicious chai flavour! Use a double boiler (I use a glass pyrex measuring cup in a pot of water), to melt down the first 3 ingredients. Keep it on low heat. Add the avocado oil at the end once the solid ingredients have become liquid. Remove from heat and add the drops of peppermint essential oil. Mix! Pour into lip balm tubes quickly! This is a favourite with some of my “grown-up” friends (as opposed to kids), and has a nice zing to it! I used paperboard tubes this time, and I made some labels you can use too! Download them here – I used them with 2″ x 4″ shipping labels. If you want to make your own labels, you can get free downloadable lip balm labels from customlabels.net here! What’s your favourite DIY lip balm recipe? Paperboard tubes!! I like the sound of that! Amazon, I guess? I haven’t been able to find them on amazon – my only source so far is SKS in the US. Link is in the post!